Houston is the most populous city in the U.S. state of Texas with a rank holding of no. four in population according to 2016 census, within a land area of 599.59 square miles. Houston is one of the largest city in United States. It is located in Southeast Texas near the Gulf of Mexico, it is the principal city of the Greater Houston metro area. It’s economy has excellent strength in energy, manufacturing, aeronautics and transportation. 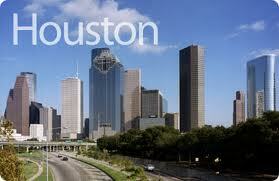 Houston is a global city and has good strength in business, international trade, fashion medicine etc. It is known as the most diverse city in Texas and has been described as the most racially and ethnically diverse metropolis in the U.S.
Houston was established on 30th August, 1836, near the banks of Buffalo Bayou and incorporated as a city on 5 June, 1837. The city gets its name after former General Sam Houston, who was the president of Republic of Texas. In 20th century, Houston became the hub of the Texas Medical Centre- the world’s largest concentration of healthcare and research institutions. In 1914, president opened the deep- water Port of Houston. By 1930, Houston had became Texas’s most popular city. There are some points given below, that shows, why it is a nice city? Houston is the no.1 city for job creating in United States. It’s home to more Fortune 500 company headquarters. It is the world’s largest hub of health care organization with amazing scientists working hard to beat cancer. Texas medical centre is the world’s largest medical centre. Houston is one of the major centre of America’s lucrative oil and gas industry. Houston is called ‘Space City’ and it’s home of the NASA astronaut corps. Houston has particularly excellent Vietnamese and Mexican food and don’t forget about barbecue, because it’s Texas after all. Houston has more parks, than any other metropolitan area. The city is full of unique, world – class museums and cultural landmarks. Houston has many museums where you can visit like Museum of Fine Arts, Museum of Natural Science and Children’s Museum. Most movers in today’s market claim to be good movers because it is very easy nowadays for anyone to enter in the market and most of them are not as good as they appear. If you are looking for moving services in Houston, then there comes many moving companies, but your question is, which is the best moving company? The answer is M&M COMPANY. we’re not too small for your big move…. We’re the moving company you have been looking for, it is committed to create happy and efficient moves all across Houston and out also. We offers every type of services like picking, packing, loading, unloading, moving, unpacking. Take a view of the principles that makes us different from other Houston movers. We have great experience that let us tackle even the hardest moving situations. Treat your stuff as is it is our own one. Professional movers are present with their great experience. We have been accredited every year for our good moving services. In the last 720 surveys by Royal LePage we only had one claim of 65$ in damages. People have rated their overall services as excellent. We offer professional packing services. You can hire us that saves your precious time. Now, no more late nights getting ready for the move, no more living out of boxes when you are in your new home. We offer you self storage and most suitable and portable storage. Our professional workers not only drop off MOVITS storage container, they will also pack it up, and take it to our climate controlled warehouse. MOVITS. Are great and they save your time and energy both – how many companies can do that? We also have super –mega trucks that can load your big stuff, the average 4 – 5 bedroom homes, and you will also receive speedy crew members over standard members.